Myths as part of our culture give us a sense of being part of society from an early age. 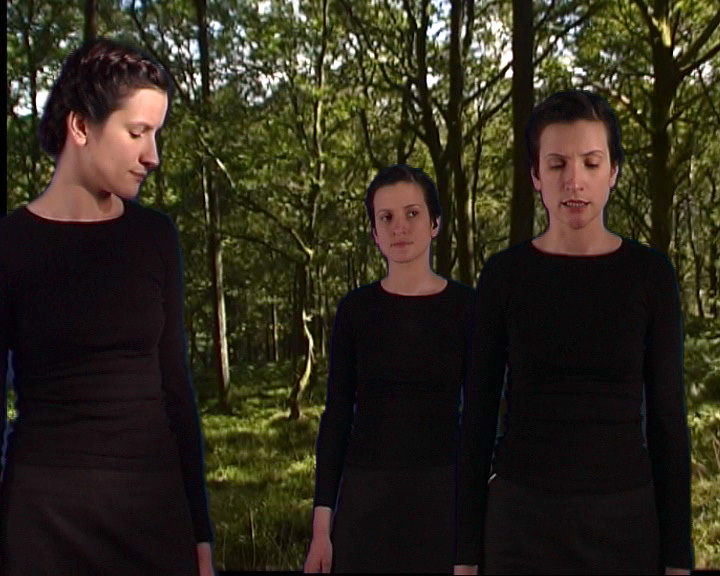 In Chameleophonia (2005) the identity of the artist unfolds and is exposed as a thin narrative in the origin and characteristic of the spoken text. The artist’s body performs as uniform from which different recorded voices emerge. She replaces her own voice with others; several women with different accents tell the story. The story slowly reveals her identity as Polish, while the voices seem to contradict this and emphasise another set of histories.